52 Weeks of Coupons: Pictures to Live By: I heart Albertsons Doublers! Follow me through my first year of couponing as I share weekly pictures of what I can buy my family pairing coupons and sales. We have Albertson's Twice the Value coupons (aka doublers) through tomorrow, Tuesday the 17th! This is a great way to get a bunch of stuff super cheap or free. Please know that I did not get all that is pictured in one transaction, or even at one store for that matter. I hit a couple stores in my area and did 3 transaction (the max allowed) at each. Make sure to click here if you don't know how to use doublers, it'll take you to a great post by Angela of The Coupon Project, explaining what they are and how to use them! Coupon Connections posted doubler deals here and here. Pay $6.71. plus get FREE MILK! *You get a catalina at check out for a free gallon of milk up to $4.50. 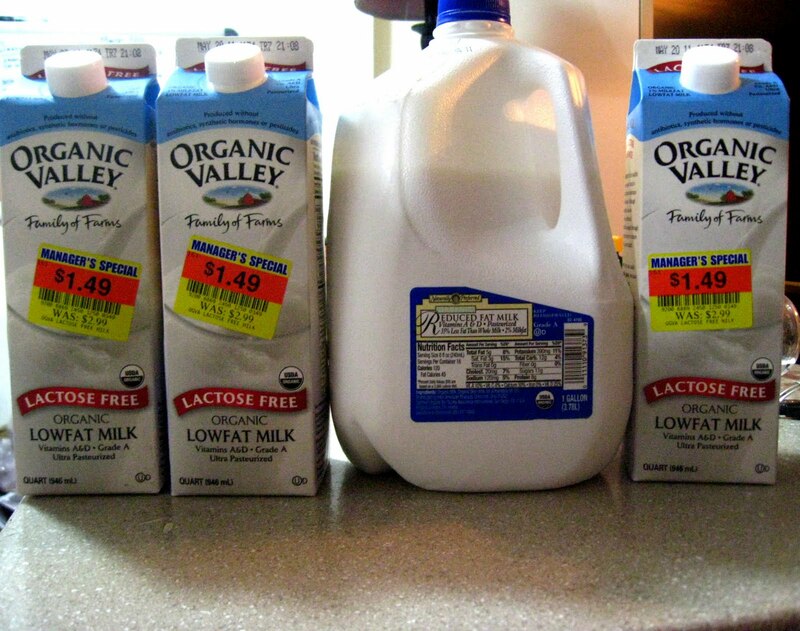 I was able to use mine at QFC (even though it said Albertsons) and score a free gallon of organic milk because it is on sale for $4.49 this week! The manager at my local store has said that QFC now accepts all catalinas as long as they say "manufacture" across the top. I haven't seen anything in writing, therefore it's probably up to your manager. It seems not all the cashiers are aware of the change, so if you have a problem, I'd suggest asking for a manager and seeing what they say. I've never had anything but great, friendly managers at QFC, so don't hesitate to ask! I found the KC Masterpiece BBQ sauce on Bonus Buy, which can vary by store, so you may or may not be able to find it. As I mentioned before, I also hit QFC to use my milk catalina. Not only did I get Donald's regular organic milk for free, I also scored some of my lactose free organic milk for half priced (yep, that's right, normally a quart of LF organic milk is $3!! Insane, I know!) I actually suspected that they would be on markdown soon because I had been watching the pull dates for a couple of weeks, hence the reason I was able to pick them up before they were sold out. So when you're in the dairy or juice isle, you might think about checking a few dates to see if things will be going on markdown soon! Great way to save and be ahead of the game! Lastly, I guess technically I should say firstly since I actually hit it on Saturday, we went to the Franz Bakery Outlet! I absolutely love this place, especially on the weekends when they do extra specials!!! I was able to get 100% Whole Wheat Bread for $.66/loaf!! We really don't care if it's about to expire, we just stock up and stick it in the freezers so we don't have to make a trip for bread every week. Normally this bread retails for upwards of $4.59 a loaf! If you haven't checked out a bakery outlet, I'd encourage you to check for one in your area. You can search for Franz Outlet locations here and Oroweat Outlet locations here. I have personally shopped at both and find the Franz Outlets to have better deals, but either is a great alternative to paying full price at the grocery store! Amazing job!! 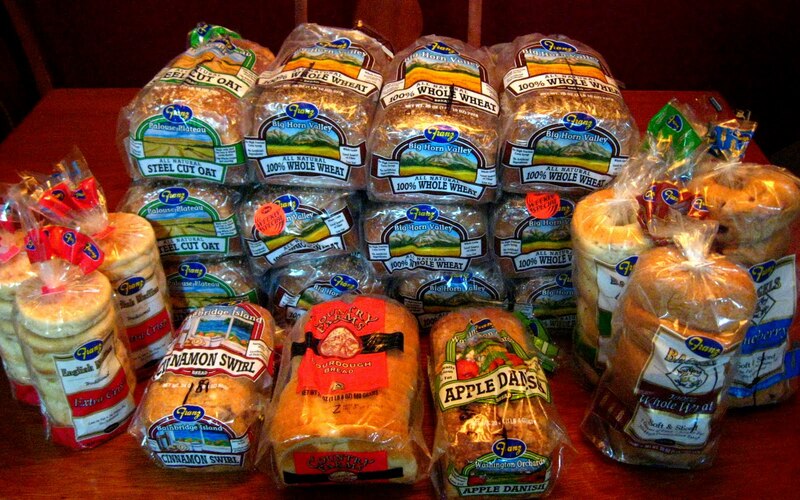 You have convinced me that I need to stop by the bread outlet. Thanks for sharing. Christy, she convinced me too - yowzas, those are some hot deals!! Great inspiration! I always forget about the bread store. I used to shop at the Oroweat bread store in Federal Way, until we moved. I need to make a trip. The bread was fresh tasting and so much cheaper than grocery stores. @Christine - I too have noticed how fresh it tastes! We would always go with the Country Oven kind from Fred Meyer before because we could stock up when they went on sale for $1.33/loaf (crazy to think that my stock up price cut in half just by finding the outlet store!) Even though the Franz bread is technically about to expire, it still taste far superior, even after being frozen! Gotta love it! @Christy and Angela - Glad I could help!! The Franz in Kent will also sometimes put the loaves of bread on their 2 for a $1 racks (which I believe is a weekend special rack!) 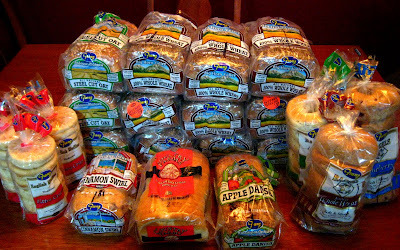 I've also found 100% whole wheat hamburger buns and those huge loaves of Seattle's cracked wheat sourdough bread on the 2 for a $1 racks. Early Saturday seems to be the least picked over time and you can score some crazy good deals! We go to the bread outlet in Puyallup, and it's so much fun! They do double stamps on Monday, plus they always have a free rack just because! Great shopping trip. Good luck on your blogging journey! 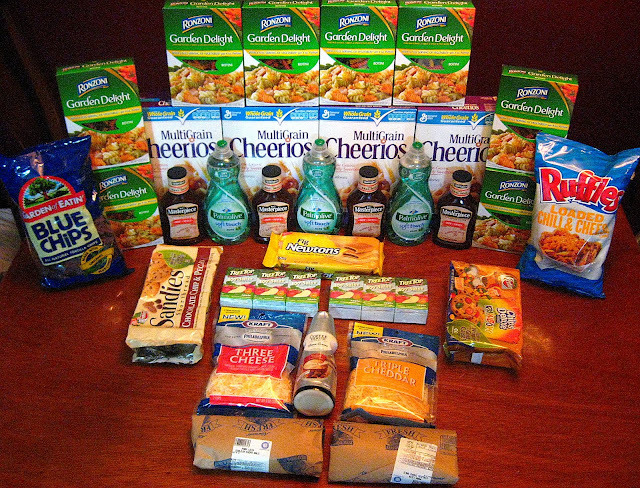 I started this blog originally as a source for inspiration and to give people a realistic look at just what coupons can buy. However, the more I have talked with friends and aquaintances about couponing, the more people I have asking me to help them. In fact, a lot asked if I could start posting the deals I was buying on my blog so that they too could do the same deals. I have also heard from many who want desperately to save money, but just don't have the time to scour tons of blogs the way I frequently do to make my grocery lists. The thing is, there are a ton of great coupon blogs already, and I know that there really isn't a point in me sitting down to do match ups everyday (nor do I have the time!). However, what I believe I can do is point you in the direction of where I found my deals for the week, share with you the unadvertised deals I find while shopping at our local stores (so you can hit them too! ), and hopefully give you confidence in the deals by showing you I have just done them myself successfully.